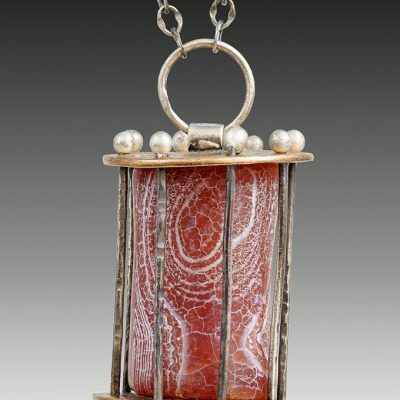 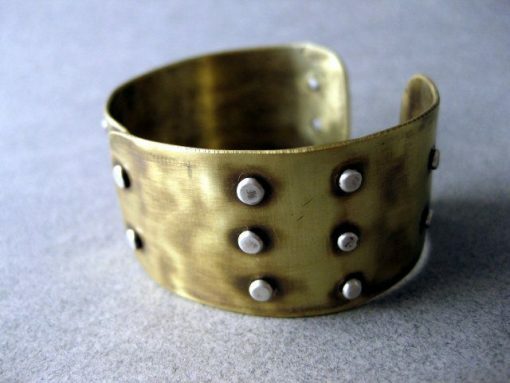 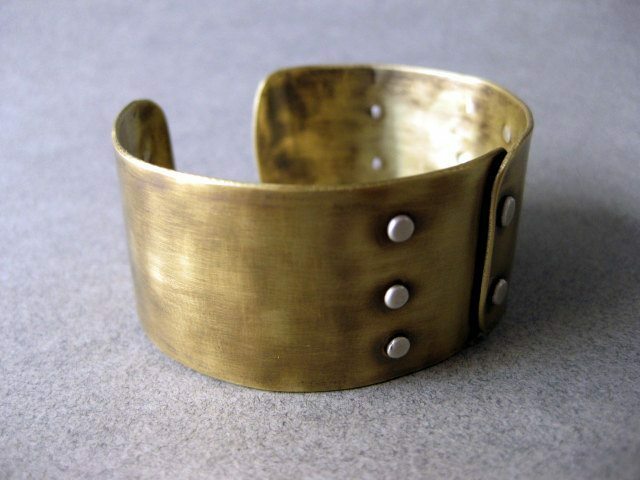 Riveted cuff, approximately 1 1/2″ wide, 6″ long, and fits most wrists. 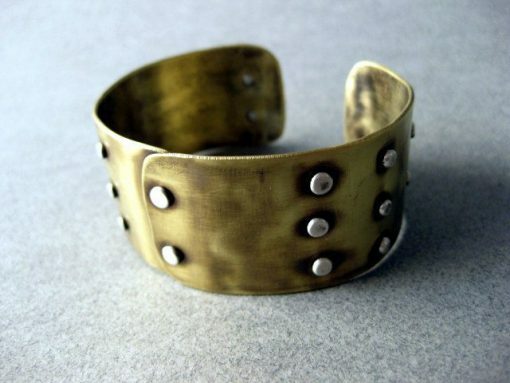 To put on, gently pull open and push against wrist to close. 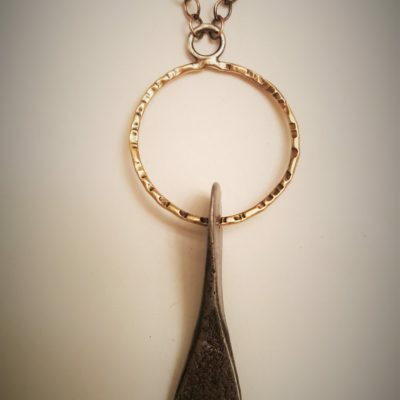 Oxidized, brushed, and sealed with lacquer.